FilterGrade is back again this week with another premium design resource for Access All Areas members. 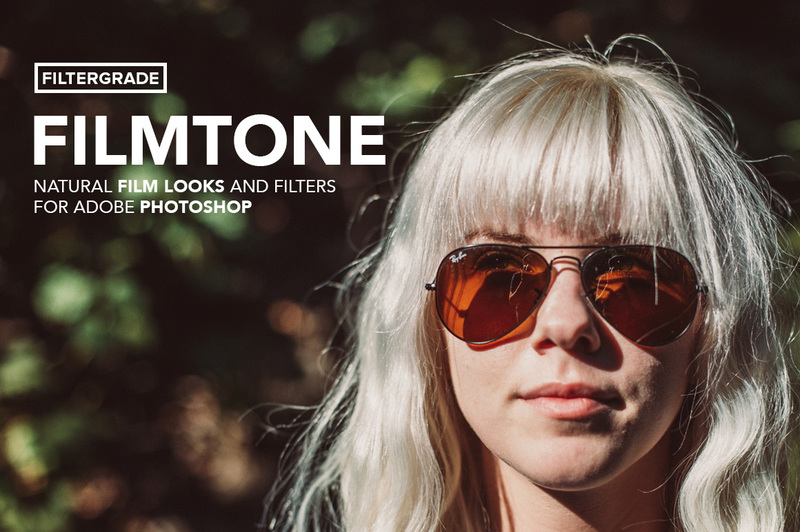 There’s already 3 collections of FilterGrade Actions available for members; the Vintage Batch Filters and two complete packs from the Light Leaks Series, but today members are also being treated to the brand new FilmTone product. These high quality Photoshop Actions generate natural film looks and filters to instantly give your photos the nostalgic feeling of analog photography. The FilterGrade Shop is stocked full of Actions of various types, including fashion styles, photo retouching tools and plenty of cool effects. Check out the Best Sellers list to see the most popular products, including the Quick Tone and ColorWash Actions to further enhance your photos with retro styles, or the 220 Photo Action Bundle for a selection of all 11 FilterGrade series in one pack. FilmTone is a brand new product from FilterGrade and the latest resource for Access All Areas members to download as part of their membership. It’s a collection of 25 professional Photoshop Actions that apply a variety of subtle analog film effects to your images. Check out the before and after previews to see how the faded pastel colours and realistic grain add the finishing touches to your photos. Filter Grade is really going great guns! Their goods are awesome! Thank you! They have some really great Actions. It’s subtle effects like this that enhance an image without going crazy with colour casts! These are great. Great because they’re not OTT like some effects and filters. Apps such as Instagram have made the bleached, washed out, retro look very much in vogue. But designers are not using these effects subtly enough in my opinion. Great addition to the creative cannon.